The Computer Addiction Treatment Program offers a brief adult (18+) 3-day program to help individuals struggling with an unhealthy dependency on technology such as problematic or addictive computer/video gaming, on-line media or excess cell phone/social media. Located in Big Bear, California, clients live together in a mountain cabin and participate in therapeutic and educational activities at our retreat center. In addition, light adventure/sport enrichment activities are conducted in the mountains or lake depending on the season. Therapeutic components include assessment, education, skills training, career and academic guidance, outdoor enrichment activities, group, individual and family counseling. Speakers will present and answer questions on careers in technology including the video gaming field. How it works: Family members bring the client to the retreat and participate in an intake assessment session on Friday. After leaving the client at the facility on Friday, family members return Sunday afternoon. Family members and client participate in both the family group and the individual exit meeting where ongoing care/treatment or collaboration recommendations are discussed. 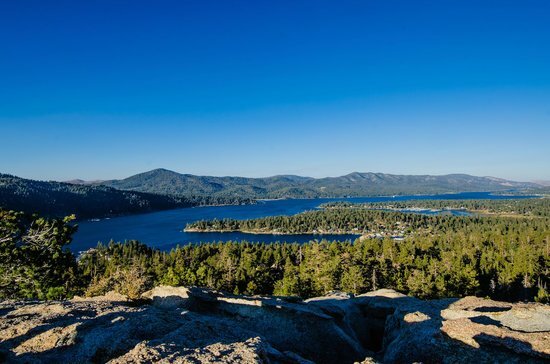 Big Bear Lake is located in the San Bernadino Mountains and is a four season resort with outdoor activities year round. It is located within driving distance from almost anywhere in Los Angeles, Orange, Riverside, San Bernadino and San Diego counties. This locale offers a serene location with an opportunity to break free from video games, computer, Internet, smart phones and focus on personal growth. This program is not intended to replace current therapy or treatment but to enhance or help initiate treatment with our program or a local provider.The diagnostic intake assessment and psychotherapy costs MAY be reimbursed by your health insurance carrier as they are conducted by a licensed mental health professional. Because you are traveling for treatment purposes and the treatment is not available locally, transportation, lodging and the cost of the weekend treatment MAY be tax deductible (subject to limitations) or paid for using your health savings account. Contact your tax advisor regarding this matter, we cannot advise clients on tax matters.